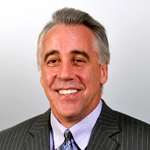 Bill Scanlon is President of Strategic Solution Partners, a consulting group he helped to found in 2007. A results-driven sales and marketing leader with over 25 years of experience generating organizational transformation and achieving measurable results with global hospitality brands, he now shares his expertise with private clients. With a focus on uncovering hospitality industry organizational transformations in order to grow top line revenue as well as bottom line result, Bill has a track record of successfully implementing strategic changes for publicly held and private organizations in the United States and around the globe. He has experience in strategic planning, business positioning, organizational alignment, tactical execution, and revenue management. His excellent results are based on his ability to focus on the details, while keeping in mind the big picture, making on-the-ground changes to drive revenue and create growth. Bill strives to improve sales performance by building strong relationships within any organization. He began his career in the hospitality industry at Marriott, where for 20 years he progressively moved up the corporate ladder to his pinnacle role in the company as Vice-President Caribbean, Central and South Americas. He left Marriott to become the Senior Vice-President of Sales and Marketing at HEI Hotels & Resorts. Following his experience at HEI, Bill founded his own consulting firm, Strategic Solution Partners, where he helps clients transform their businesses and drive revenue growth. Upon completing a consulting consignment for his client, Wyndham Worldwide, he was asked to join the Hotel Group as their Senior Vice-President of Sales & Marketing. After two and a half years growing revenue for their $1.5B portfolio of companies, he returned again as President of Strategic Solution Partners with renewed dedication and zest.